Looking for a fun Easter treat to make with the kids? 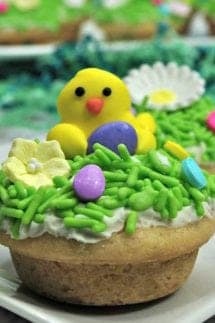 Try these super cute Spring Easter Cookies Cups! Using a mixer, combine the butter, powder sugar, vanilla, and heavy whipping cream.